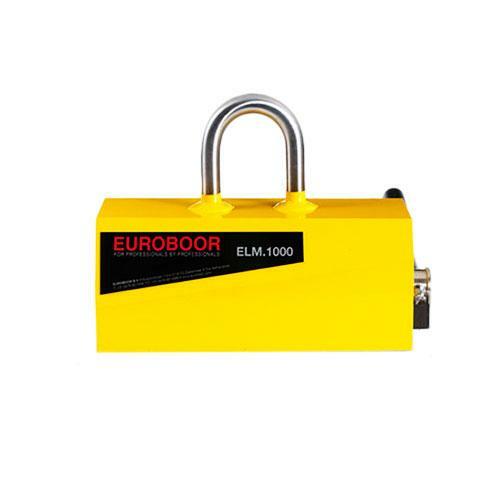 The new ELM.1000 Lifting Magnet is used in steel supply, machine, and die shops where heavy steel objects must be moved rapidly and safely. The maximum rated lift is based upon lifting a clean, smooth, flat, low-carbon steel plate, 38 mm (1.5") or thicker with the full area of the magnet's lifting surface in contact with the load. Derating is required for plates with rust or scale, plates thinner than 38 mm (1.5") and alloy steels. Suitable for temperatures around 80° C.